The world’s first IPU was developed by a British IT company, Graphcore, who claim that it is better optimized for the institution and maintenance of the deep neural networks (DNNs) of which modern-day AIs are made. 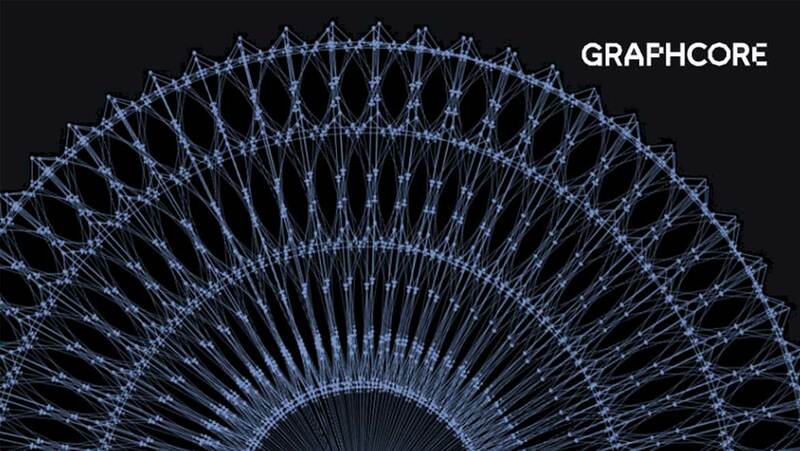 Poetically enough, Graphcore’s own DNNs have been involved in the study of machine learning (ML), and how such software processes, sorts and synthesizes data in real-time and in real life. The AIs that use ML to train, do this in order to reach the conclusions or analytical results required by the said training. While the scientists in relevant fields obviously understand the fundamentals of these processes (having invented AI, in some cases), the actual ‘internal’ mechanisms of ML to achieve its ends can be a mystery even to the most talented of researchers. DNN, as the name suggests, is an interconnected matrix of software- or hardware-based synapses or connections. This matrix can modify synapses, or create them, as it develops in response to training. DNNs are an increasingly convincing analog of real neural connections in the circuits of the human brain. Therefore, the paths, which the data points used as eventual AI input, take through the complete or in-training program can be less than predictable. However, keeping track of these processes is essential to the continuing study of ML, and to its control, if necessary. Therefore, Graphcore built an AI of its own with the task of analyzing the ‘activity’ within other DNNs. These AIs were also required to express their output in a way that could be understandable or usable by humans. Accordingly, these programs turned out a series of sensational images that corresponded to the data processing architecture of various different ML processes and systems. These forms of ML are known to be associated with large-scale industrial or academic AI functions, found in institutions ranging from the LIGO astrophysics installation to Google. Furthermore, the images were also graphs, in which the flow of data was represented by different shades or even colors within the same basic circular field of view. Similarly, the connections between synapses were represented by vertices, which in aggregate formed different shapes going in different directions. Finally, the connections and synapses were grouped into distinct shapes within the overall image, which represented the different layers (e.g., functions or lines of inquiry) of the ML framework. All in all, the resulting images somewhat resembled brain-imaging data that is processed to represent different connections, circuits and brain regions using colorimetry. To date, the Graphcore-AI (known as Poplar™) has analyzed the neural networks involved in the image-recognition software, Alexnet, Microsoft’s ResearchNet and Google’s TensorFlow, and turned them into colorful, informative graphs. Even more incredibly, Graphcore’s software has achieved all this without a custom-made IPU on which to run. The company’s CEO, Nigel Toon, has claimed that a fully-working IPU will be available to the graph-generating program soon. This ability to analyze and define the activity within ML algorithms may be increasingly important as time goes on. Such data processing capacity is an important application of AI, and will probably be used to facilitate more and more of our science, IT and other important disciplines in the future. In addition, AI itself is likely to exhibit the ever-growing complexity that rivals or may even exceed the workings of the human brain. Therefore, the ability to track and comprehend the activity within such programs may become vital in the future. Finally, if nothing else, Graphcore’s work may supply expressions of scientific data that may be considered virtually artistic in their appearance and appeal.